The project for the new Cointec offices is about the renovation of a commercial property across from Parque Severo Ochoa in the city of Orihuela. The space was presented raw, with only a metal structure built to support a mezzanine. The low-lying position of the local roads and the fact that it is in a flood zone were decisive in the creation of an elevated level in the entry area that would serve as protection against water runoff. The project has drafted a layout which aims to promote a feeling of spaciousness, creating a continuous space compartmentalized only through the precise positioning of furniture and glass partitions that visually connect the different rooms. The staircase and restrooms are located in the back of the room, allowing for a larger area of free space in the front area. A central beam provides the storage space required for workspaces and space for air-conditioning and ventilation equipment. 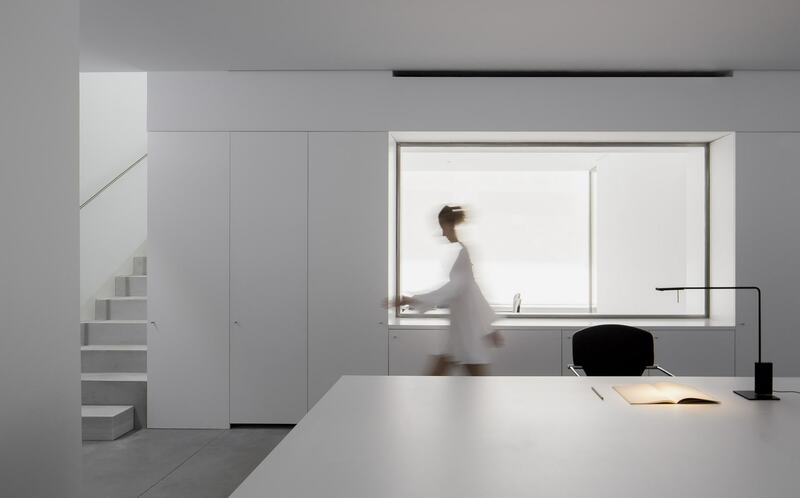 The material aspect of the project is characterized by the use of a continuous concrete floor, which connects every room of the office and harmonizes with the brushed stainless steel frames of the partitions. The stone used to build the bench located in the hall is intended to create a contrast with the pavement and accentuates its uniqueness. Txema García Ballester, architect at Balzar Arquitectos: “When we started our professional endeavors, the world was submerged in one of the worst economic crises in modern history. We understood that society demanded that architects provide architecture that was capable of standing up to periods of crisis and optimizing resources in order to obtain higher quality at a lower cost.